This weekend is going to be a good one. For starters, tonight is Wil's bachelor party. Now, I have no idea what the boys have planned, but I swear on my life...if there's a tiger in our bathroom tomorrow morning, I'm going to rip up our marriage license! While the guys are off doing their thing, Wil's mom and I will be trolling the city for the perfect Mother of the Groom dress. David's Bridal is not on the list. Apparently, she's too small for their dresses (more about that story here). We're going to round out the weekend by putting the finishing touches on all the design work for our menus and programs. If you follow me on either Twitter or Instagram, you might get a little sneak peek of what we're working on. 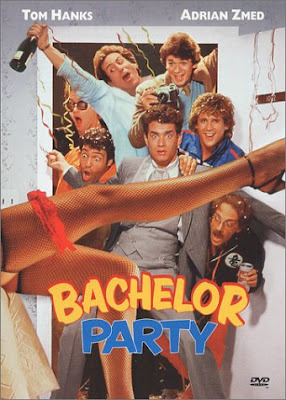 This week's Friday Finds is a collection of really awesome bachelor party stuff. I'm pretty sure Wil would not like any of the things I'm listing here, but this post isn't for him. Were I guy, this is what I'd want. I hope my girls are paying attention as my bachelorette party is two weeks from now. Are you excited? Because I am. Does it get any better than a table of 'taters?! How awesome are these cookies? 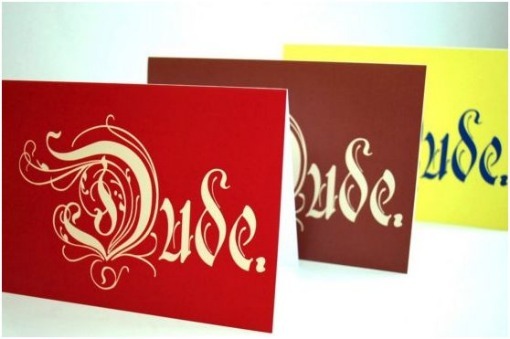 If guys sent invitations to stuff...these. 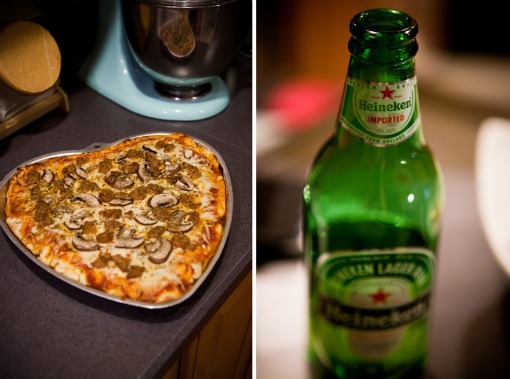 You can't go wrong with pizza and beer. 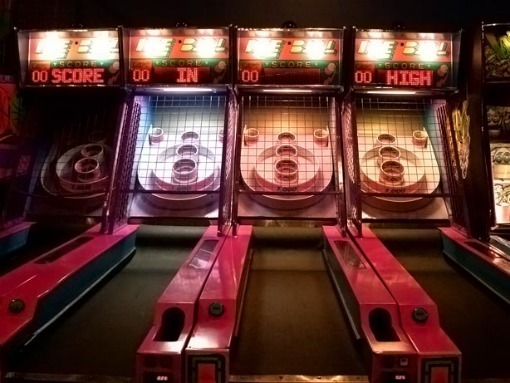 Bachelor party at Dave & Buster's? Yes, please! Men, just don't think that stuff up. 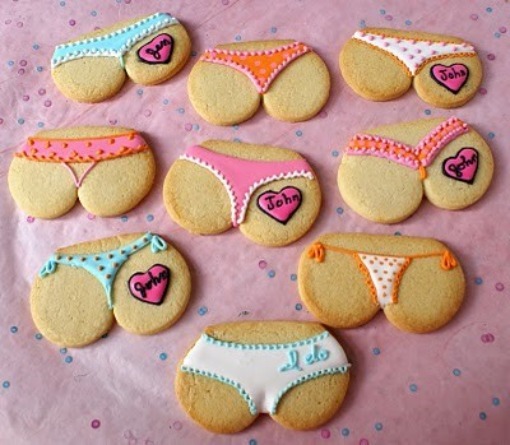 those cookies are too funny :) haha. Haha, those cookies are awesome! 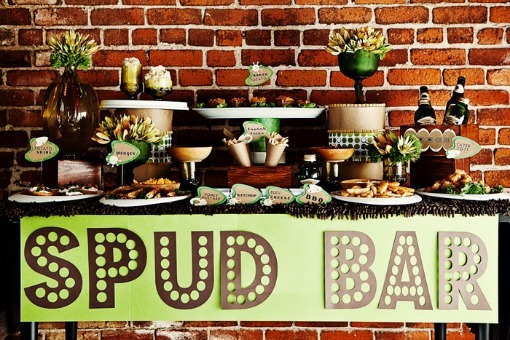 Oh, I love the spud bar!!!! Those cookies are the best! Ha. I love all the ideas. I think some of them apply to a laid back funny wedding shower in general though. Maybe that's just me....hmmm.